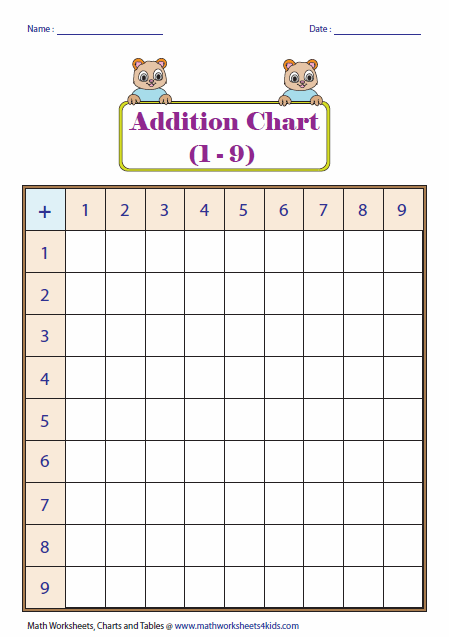 This page contains printable addition tables, partially filled addition tables, blank tables and addition charts. Tables and Charts are available in both color and black-and-white. Each display table has cute cartoonist numbers to drive the interest of the early learners. 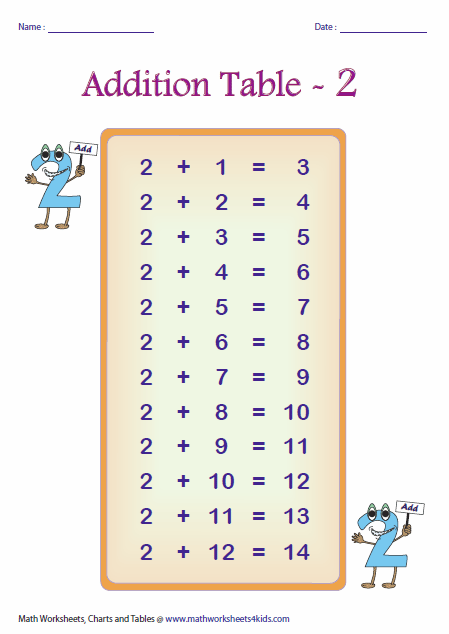 Blank addition tables help the kids learning addition by following simple pattern. You also have an option to download all the addition tables. Glue the poster in a classroom or at home. Ask the kid(s) to read aloud the tables. 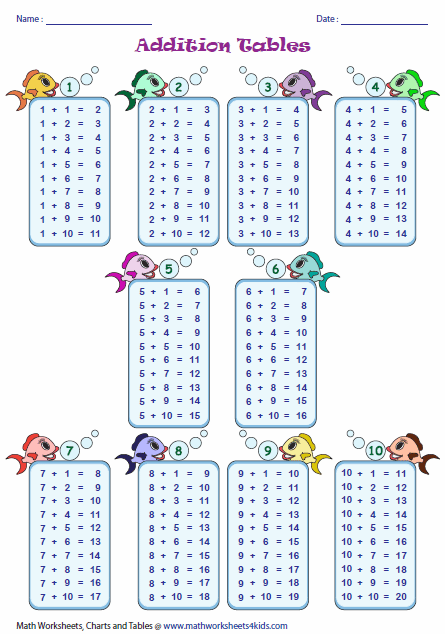 Addition table 1-10 has a cute fish theme. 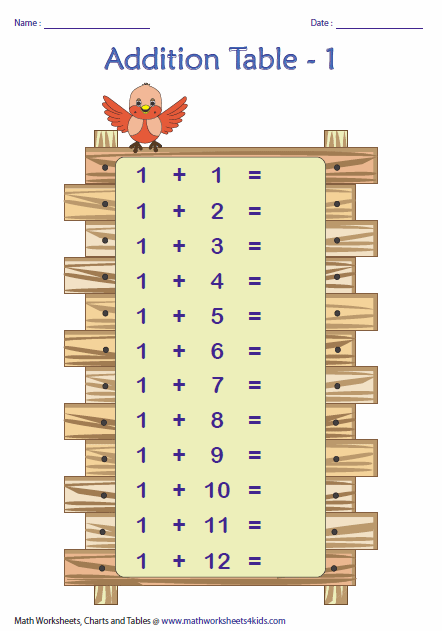 Addition table 1-12 has a smart cowboy theme. Read aloud the addends. Find the sum. Write the answers on the blank tables. 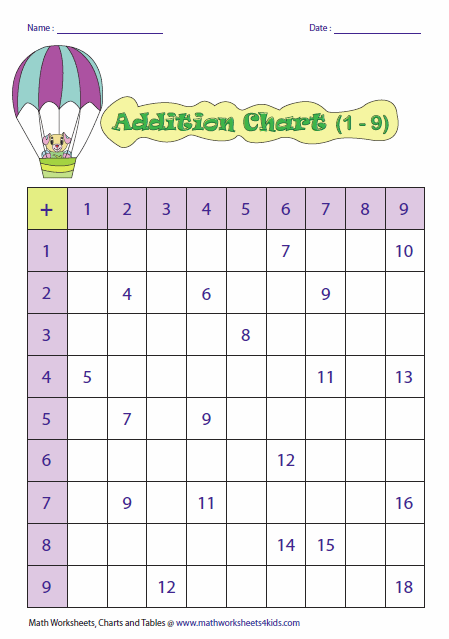 Addition charts help the kids to recall the simple addition facts. Vehicle themes are used. The charts are partially filled with sums. 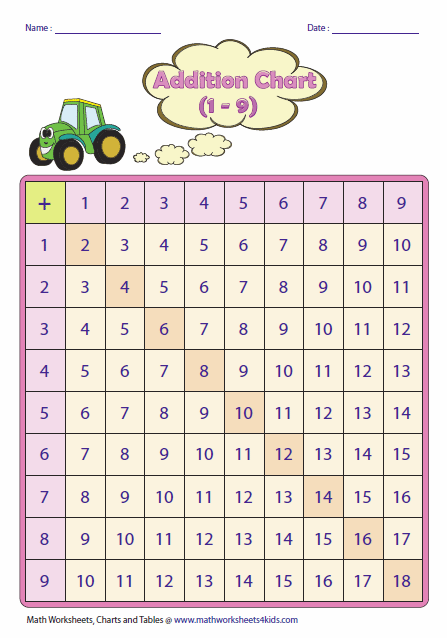 Complete the chart by finding the sums. Each chart has air balloon theme. 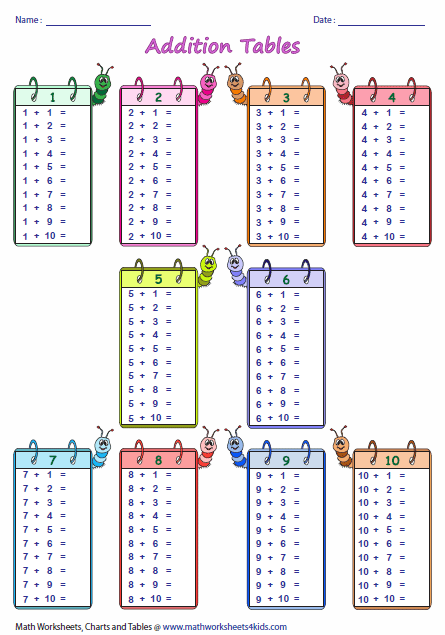 Each blank addition chart contains addends along the row and the column. Find the sums. Complete the chart.